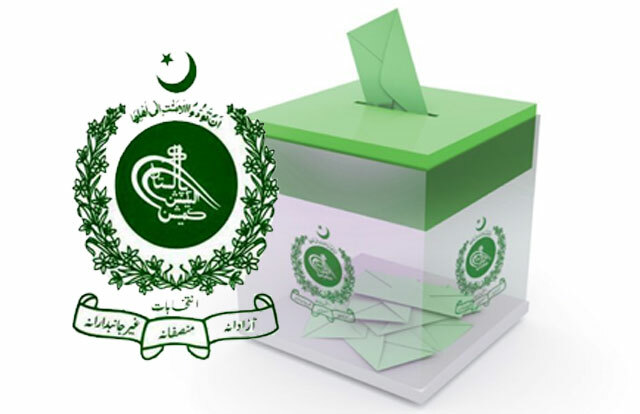 Even though Imran Khan might have claimed that his party Pakistan Tehreek-e-Insaf (PTI) would eradicate the current system of nepotism and corruption, there were serious discrepancies in the nomination of female candidates on reserved seats in Khyber Pakhtunkhwa (KP). Taking notice of charges of nepotism in nomination of women candidates, activists of PTI women wing staged a protest demonstration in front of Peshawar Press Club on Saturday, demanding representation for some of the neglected activists. An examination of the list of PTI leaders elected to National Assembly and KP Assembly reveals that most of them were close associates of KP Chief Minister Pervez Khattak, KP Assembly Speaker Asad Qaiser, both from the same party. Ironically, PTI activists from Manshera also held Azam Swati responsible for party candidates’ defeat in the district and also demanded action against them. Activists said that Nafeesa Khattak who was elected MNA on a PTI ticket is the sister-in-law of Chief Minister Pervez Khattak. Another MNA, Sajida Zulfikar is his niece whereas Mussarat Ahmadzeb is the niece of Nafeesa Khattak. Aisha Gulalai is the fourth PTI MNA nominated from Khyber Pakhtunkhwa, even though she represents FATA. Both Naseem Hayat and Aisha Naeem have been elected to Khyber Pakhtunkhwa Assembly and are first cousins. Naseem Hayat is also the president of PTI’s provincial women wing. Nadeya Sher, another PTI female MPA, is also from Swabi. In total, three women from Swabi have been nominated for the KP Assembly. Furthermore, both Nasim Hayat and Aisha Naeem are also first cousins of former provincial minister Sitara Ayaz who was elected on an ANP ticket to Khyber Pakhtunkhwa Assembly in 2008 general elections. Similarly, they are also close relatives of Meraj Humayoon Khan who has been elected as MPA on a Quami Watan Party ticket. Naseem Hayat, Aisha Naeem and Meraj Humayoon Khan not only belong to a single village in Jhandha area of Swabi district but even are from same family. Jhandha town of Swabi district is known for producing influential figures and military generals. General (r) Sher Bahdar Khan and General (r) Sher Khan and Colonel (r) Ali Gohar Khan were prominent among the generals hailing from this district. Dr Johar Khatoon, who belongs to the same town, is a leading gynecologist. Among the PTI female MPAs, Dr Meher Taaj Roghani is considered to be a deserving candidate as she had made valuable contribution to the party. Belonging to Mardan, Meher Taj Roghani had served one of previous provincial caretaker governments. She is likely to become health minister in the new government. In a similar case, MNA Nafeesa Khattak, Zarin Zia were elected as MPAs, both residing in Rawalpindi. She is the sister of former ANP MPA Yasmeen Zia. Zarin Zian is also believed to be a strong candidate for a ministerial office. I suppose, empty space on the paper has to be filled up somehow and this rubbish is the best to fill it up. it is not rubbish. PTI Imran Khan and Khattak practiced nepotism even though they preach against it. Needcto walk thectalk. Tsunami turns out to be Nepotism and new version of "Change". well this is just a beginning of PTI corruption. PTI is against dynasitc politics and will always remain so, in sha Allah. 1) Nafeesa Inayatullah Khan Khattak has worked for PTI for years as President Islamabad Women Wing. Currently, she is elected Secretary General of PTI Women Wing and hence was top of list for KPK, as she has domicile from KPK. Fauzia Kasuri acknowledges that she got ticket on merit. She is member of PTI long before Pervez Khattak joined PTI. Nafeesa Khattak has sacrificed her family life for PTI, she has been running around like crazy in kachi abadis villages for PTI. Google will never show you the on-the-ground work that she did in Islamabad. If the rural areas of Islamabad have voted for PTI it's because of Nafeesa Khattak. If you google for Pervez Khattak and PTI, you wouldn't find much, but he is elected secretary General of PTI and hence becomes CM of KPK. So Ms Nafeesa got the ticket totally on merit, and not because she was a relative of Pervez Khattak. Does such a bright lady need a reference to be given ticket? And I have some information from a PTI Women Wing member from KPK, who says that Ms Sajida didn't even want reserved seats ticket, but party awarded it to her cuz of her own political stature. 3) Mussarat Ahmad Zaib joined PTI late, yes, but she is the most courageous lady from Sawat. She is a well-known educationist, social-worker and member of royal family of Sawat. Musarrat Bibi commands such respect in swat that the insurgents would not dare harm anyone taking refuge in her house. You'll hardly see a braver woman than her. She stayed put in Swat during the insurgency when all her family fled. She worked for widowed women and Education in swat. Never projected her sons in politics even though she is a princess. 4) If anybody it is Ayesha Gulalai, whose name could be questioned as she was previously in APML, then PPP and then PTI. But I don't have any objection on her too. If Pervez Khattak wanted to give tickets to his family members, then it should have been his wife, daughter, sister etc. and that too if they had no political stature. This is not the case here. PTI is against "being a relative" being the criteria for getting on the reserved seats for Women! As long as there is merit in the decision then no issues being a relative but that alone should never be a criteria! There is no crime in being a relative of the leadership & then being on the reserved seat for women as long as you've worked your way through to the top. Plus these lists were given to ECP before general elections. Those who were contesting in general elections, were not included in these lists. Actually there is no crime if I am doing it and if the same is being done by the others then it will be categorized as heinous crime. Grow up man. Dig out what Khan holds as a proof.